In a short space of time, the stunning Scuderia Cameron Glickenhaus SCG003C has established itself as one of the most spectacular additions to the international endurance racing scene. It’s a star of the Nurburgring 24 Hours (with even a trophy for the fastest Nordschleife lap named after it) as well as many other competitions – having also been highly commended as one of the most enjoyable cars to drive by ‘Evo’ magazine’s prestigious ‘track car of the year’ competition. 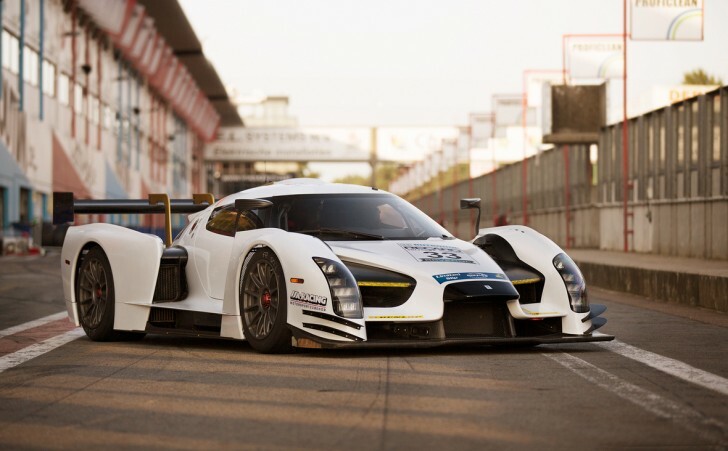 Previously reserved for James Glickenhaus’s carefully-selected factory drivers, the SCG003C has recently been made available for customers to drive too, thanks to a new client competition programme launched by Traum Motorsport: the same team that runs the factory cars. With an unparalleled combination of downforce, speed, enjoyment and ease of use, the SCG003C provides a thrilling driving experience – and it will now be available for drivers to test via a unique programme that begins this weekend in Italy and travels throughout Europe during 2017. The innovative test campaign will allow prospective drivers to sample the unique sensations of the SCG003C, in order to help them organise their plans and experience something different. The first session takes place this weekend at the Autodromo “Pietro Taruffi” in Vallelunga near Rome. This session is already fully booked, but the test programme then continues next year at the following circuits: Vallelunga (23-24 February), Monza (1-2 March), Misano (8-9 March), Monza (20-21 March) and Imola (23-24 March).